OpenText unveiled Magellan, its AI platform, at its annual user conference, hoping to compete with IBM's Watson. Can it? 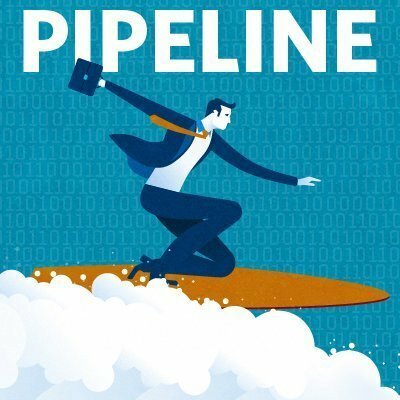 The Pipeline podcast looks into it. Artificial intelligence for enterprise content management systems was the primary topic at OpenText's annual user conference, Enterprise World 2017, held this month in Toronto. Riding the current tech tsunami shaping seemingly every tech user conference, AI was the main focus at the three-day event. The capstone was the unveiling of the company's own AI platform, OpenText Magellan. Magellan combines open source foundations with machine-learning and analytics capabilities to acquire, merge, manage and analyze big data in enterprise content stores. During the opening keynote in Toronto, OpenText CEO Mark Barrenechea said the goal is to take on IBM's Watson by offering comparable analytics and machine learning at a fraction of the deployment price. "What differentiates us is the information-centric applications that we have," Barrenechea told SearchContentManagement. "I hope to make [IBM's] FileNet irrelevant. I hope to make [IBM's] Sterling Commerce irrelevant." OpenText CEO Mark Barrenechea lays out plan for Magellan AI to fish customers' 'information lakes' at Enterprise World user conference (Photo by Don Fluckinger). All that sounds rife with potential, but hold on: Analysts we interviewed, while not disparaging OpenText Magellan, advised we wait and see actual companies using the new tech to accomplish real-world business tasks before we sing its praises. After all, Magellan is just one of numerous new AI packages enterprises can purchase, and they all have pros, cons and implementation challenges. Dealing with AI also requires maintenance and upkeep and keeping the AI algorithms on track. Analysts at the event discussed the importance that humans still play behind the scenes when it comes to implementing AI technology like OpenText Magellan -- including data cleansing and fine-tuning the algorithms. All of this and more are up for debate on the fourth episode of The Pipeline podcast. Such as: What kind of story comes after a national customer relationship management reporter gets bumped from a flight and airline employees blame "the algorithm?" Would that reporter use said megaphone to go all Ann Coulter on the readers? Click, and listen to find out. Update: Since the recording of this podcast, OpenText has decided not to offer the choice of network appliance for Magellan implementations. Which AI tool is your company using or considering?